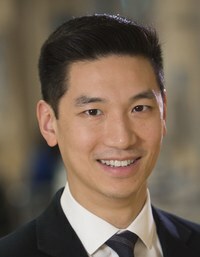 Eddy Fan is an Associate Professor in the Interdepartmental Division of Critical Care Medicine and the Institute of Health Policy, Management and Evaluation at the University of Toronto and a Staff Intensivist at the University Health Network/Mount Sinai Hospital. Dr. Fan received his undergraduate degree from the University of Toronto, his medical degree from the University of Western Ontario and a PhD in Clinical Investigation from Johns Hopkins University. He is currently the Medical Director of the Extracorporeal Life Support Program at the Toronto General Hospital, and the Director of Critical Care Research at the University Health Network/Mount Sinai Hospital. Dr. Fan’s research has focused on advanced life support for acute respiratory failure and patient outcomes from critical illness.